Good morning all I hope you all had a wonderful weekend. Hope all you father's had a great day. It’s been seven years since the love of Cedar McLeod’s life left with no forwarding address. All she has left of him are heart-wrenching memories of happier times and a beautiful six-year-old daughter, Eden. Then, one day, Eden opens her bedroom door and unwittingly creates a portal that leads to anywhere she imagines. But they’re not the only ones who know of Eden’s gift, and soon the child mysteriously vanishes. Desperate for answers, Cedar digs into the past and finds herself thrust into a magical world of Celtic myths, fantastical creatures, and bloody rivalries. Teaming up with the unlikeliest of allies, Cedar must bridge the gap between two worlds and hold tight to the love in her heart…or lose everything to an ancient evil. 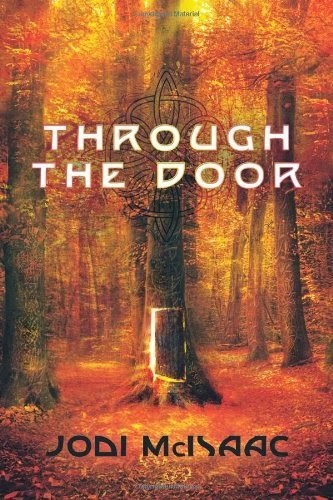 Want a mystical adventure that dives into the Celtic lore. Let me introduce you to Cedar and her daughter Eden. Seven years after the love her life left Cedar. She is living a happy life in Halifax with her six year old daughter. One day waking up and finding that when Eden opens her door , she can open it to anywhere she wants to go. But, they aren't the only ones that know about Eden's new found power. One day Eden goes missing and Cedar will do anything in her power to find her precious daughter. As Cedar dives into Celtic myths and lore. She teams up with some unlikely allies . Where she will have to bridge the gaps between the two worlds while holding on to the love she has. while trying not to loose everything to a very ancient evil . This is a great new twist on the Celtic lore and myths. I was mesmerized with each turn of the page. The author's characters were so well written and complex. I seriously think that Eden was my favorite character. She commanded every scene that she was in and made me giggle a few times, Cedar's character is the single mother that so feels the pressure of family and the struggles between working and staying at home with Eden. She is so strong and you feel for her every step of the way. The rest of the characters are also very strongly written. where you don't know if they are good or evil. The ones you think are evil well things aren't what they seem . The author took the time to develop the characters and it shows on the page. When you pick up this book, be prepared to enter a magical story. The author takes you on a magical journey between two worlds. That will keep you reading all night long. The magical world is so entwined with the real world. I loved the fact that this book was like an escape for me . I love reading fantasy but I was finding it starting to get boring. Just like other genres , it all started to get a little cookie cutter. So when I picked up this book I was so happy that it was different . I love Celtic myths and the fantastic creatures that are described in those myths. So I was excited and was reading all night As soon as I was done with book one I got book 2 and read that as fast as I read book one. The twists and turns were amazing in this book, thinking I had it figured out who the bad guys were. Well I got sucker punched and realized I was so wrong. I am so happy that I picked it up . So if you want a great book that is full of myths the fantastic creatures. Also a story of love and what you will do to keep your love . This is the book for you , You will not be disappointed .